Did you know that telecommunication has played a role in medical care since the Civil War when supplies were ordered with the use of a telegraph? The radio and telephone expanded the number of opportunities with which telemedicine can be used. Today, telemedicine plays a central role in communication and patient care, and continues to grow with updated technology. 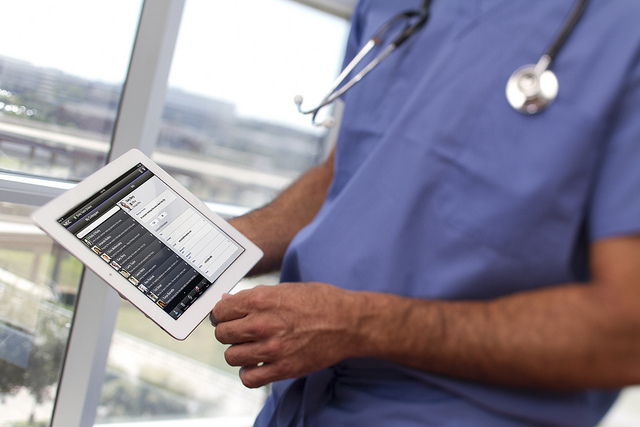 Doctors can more easily reach patients virtually for prescriptions, general checkups, and education. Though telemedicine is beneficial for all ages of patient populations, it can be especially valuable for pediatric populations. Pediatric telemedicine brings general and sub-specialty health care closer to home when children can’t make it to the doctor or are too sick to leave the comfort of their home. More than 71 million doctor’s office visits are made each year by children under the age of 15. Taking a sick child to a doctor's appointment is also the leading reason for parents having to take time off of work. Pediatric telemedicine allows for many in-person visits to be eliminated, while still upholding the same standard of care. Both diagnosis and treatment times are improved with quicker access to specialists. Pediatric telemedicine can be applied in a wide range of situations such as education, research, chronic care management, school based telehealth, and general or emergency examinations. Regarding education, physicians can take advantage of continuing medical education via telemedicine. Through interactive AV links, live-streamed video, and other educational materials, doctors can stay up-to-date on procedures and medications as well as develop relationships with other physicians and peer groups. For example, if there is a national pediatric conference taking place in California, but a pediatrician operating out of Pennsylvania cannot get there, they can live stream it or record and watch it later. Telemedicine also makes it easy for pediatricians to collaborate with other professionals in their field. Research that’s being done around the nation and world can easily be disseminated to physicians via telemedicine. For example, if there is a study being done on a new drug that could potentially treat a form of pediatric cancer, it would be key for pediatric oncologists to understand the study and obtain the results. Telemedicine can also be extremely beneficial in expanding the population base for a wider variety of subjects in a study and connecting the physicians and researchers. Not only is chronic care management crucial for older populations, but it is especially so for pediatric patients. Children don’t always have the knowledge or complete understanding of how their bodies work and what is normal or abnormal. 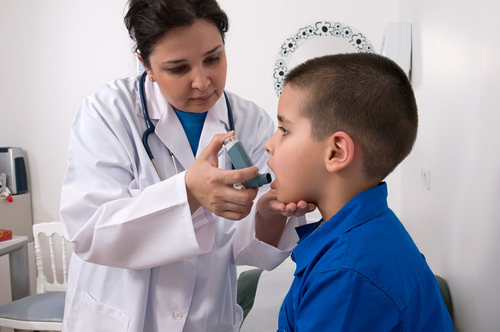 Chronic diseases such as asthma, diabetes, obesity, and other genetic diseases common in children require daily care. Doctors can easily provide direction to patients and parents on a daily or weekly basis without the patients having to come in for an office visit. Along with chronic care management, physicians can help parents with handling medications and dosages. 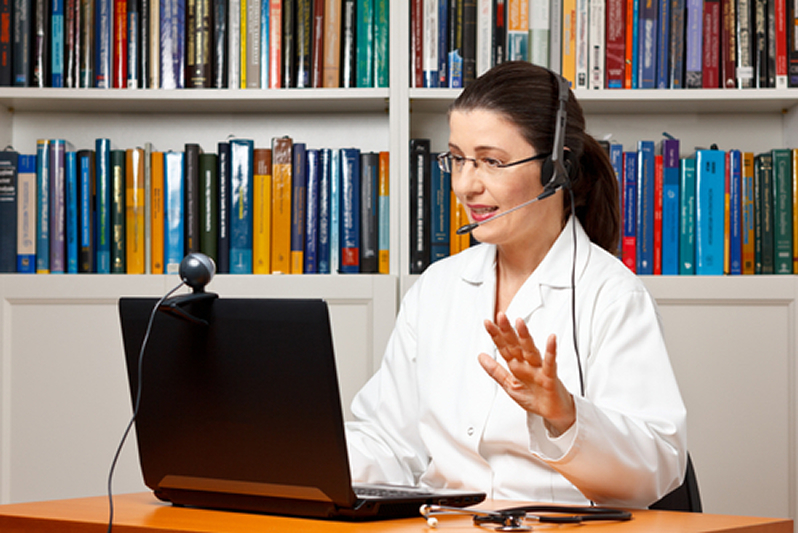 School based telehealth is another great avenue in which telemedicine can be employed. Every day, many kids go to the school nurse’s office to be treated for a wide range of symptoms, but sometimes there are a few kids that come in with a strange symptom that the nurse may not know how to treat. That’s where telemedicine can come in handy. With little disruption, nurses can respond to the urgency of the case by getting in contact with a specialist or a general doctor at a local clinic via online video or voice chat. One of the most popular ways that telemedicine can be used in a pediatric setting is for routine checkups and examinations as well as treating typical problems that occur in children. Rather than coming into the office, doctors can use telemedicine for follow-up appointments or for suggesting medication for things such as the common cold or bronchitis. Other ways in which office visits could be reduced is by treating occurrences such as pink eye, rashes, insect bites, skin problems, diaper rash, etc. through telemedicine. Since these are relatively easy issues to diagnose, it will require less of the patient’s and doctor’s time to connect online and diagnose via video. If the doctor is unable to accurately diagnose the problem, an office visit may be required. Even with the diverse uses of telemedicine in pediatrics that already exist, as technology continues to improve, expand, and decrease in cost, research, education, and access to care will grow as well. Not only will the United States be affected by this improvement, but other countries with limited resources will also have upgraded medical care. The greatest strength of telemedicine is its ability to overcome distance and culture barriers to reach various populations. With this in mind, telemedicine should have no problem expanding into more pediatric settings in the future.